If you’re looking for top-quality contract packaging solutions, in need of warehousing and distribution you can trust, or trying to find reliable inventory management services in South Bend, Indiana, Fapco Inc. is here to give you everything you need, with top-tier products and services that you can trust. To help meet our clients’ expectations and give them the best possible results, we use the latest technology in the industry along with some of the most dependable packaging systems available. Through our services, a wide range of companies and industries can see a significant increase in efficiency and profitability combined. Maintaining consistent quality control with all of our services, Fapco is able to give clients highquality packaging of all types. Depending on what your products require, we can provide you with a design that accommodates them and provides sufficient protection from damage. We can provide many different types of packaging based on your company’s requirements, including bag, kit, cold seal, blister, clamshell, spare parts, and skin packaging. We can customize our products and services to meet your needs, with all of the resources necessary to get the job done right. 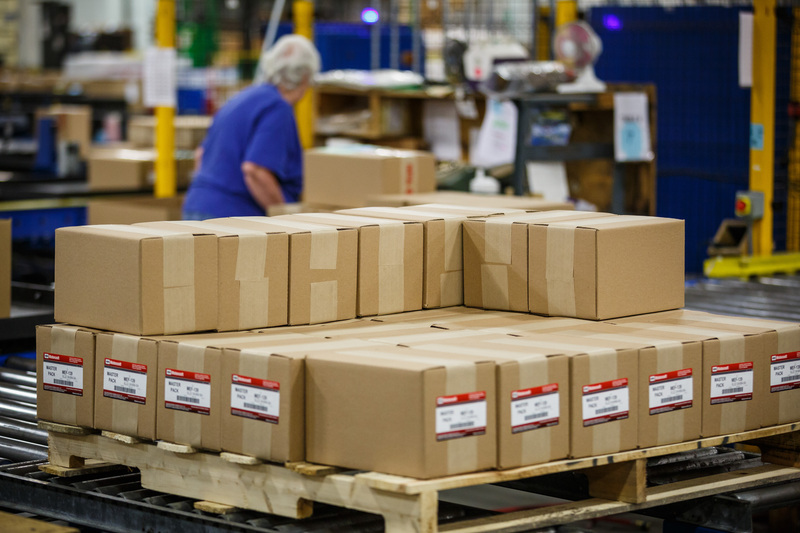 If you’re looking for warehousing and distribution services in South Bend to further optimize your operations, we offer these services in addition to contract packaging. Our employees also have the necessary experience and resources to provide consistently top-quality service that keeps operations inexpensive and smoother, with enough warehouse space to provide storage for most types of inventory of all sizes. We can meet all warehousing and distribution needs for many different types of products, including private labels and national brands. We can also provide reverse logistics to help avert issues that can come from returned parts. We also use top-tier shipping materials to keep your products protected at all times from the time they arrive in the warehouse to delivery. Fapco can provide comprehensive inventory management services in Kalamazoo that are capable of meeting nearly any specifications for both material flow and resource planning, and we can also provide replacements for critical OEM parts when needed. We always work to ensure precision and accuracy in our logistics, in addition to just-in-time control of inventory. We can meet all of your company’s specific requirements, whether you’re a startup or a larger company looking to expand. Regardless of whether you need contract packaging of exceptional quality or warehousing and inventory management services to keep your operations efficient on a regular basis, we can provide you with customized solutions that meet your individual needs while maximizing ROI and protecting inventory.